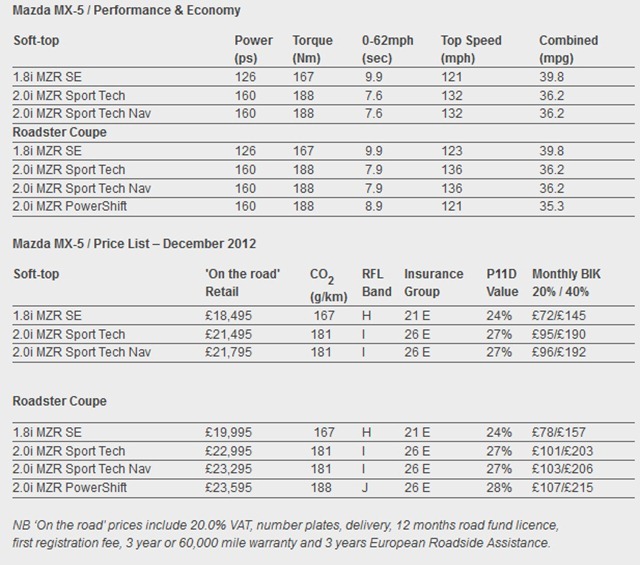 Mazda released official pricing for the 2013 MX-5, a model which is expected to arrive in the United Kingdom starting December this year. 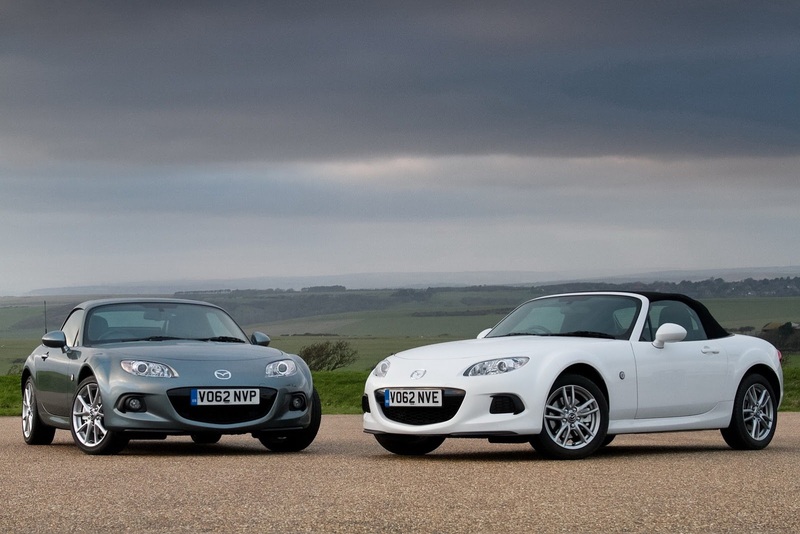 The entry-level model is the MX-5 SE Roadster which benefits from a 1.8-liter engine delivering 124 horsepower. 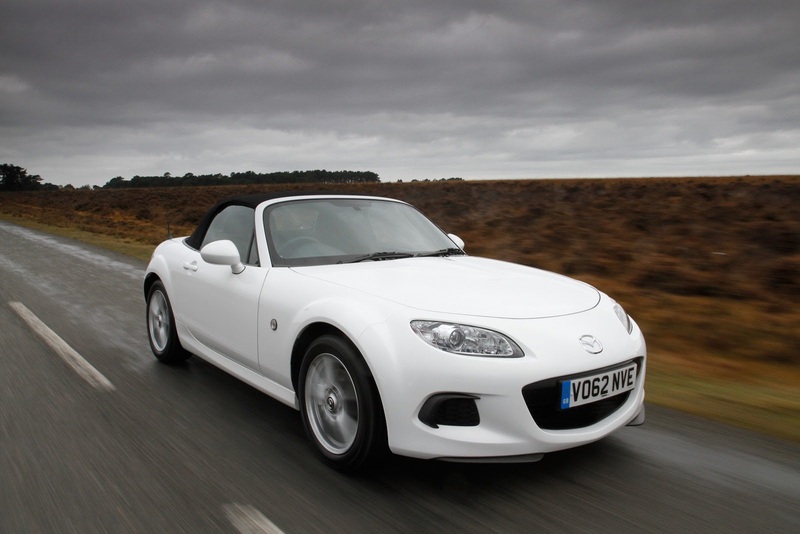 Standard equipment include new interior trim, climate control and a revised steering wheel. Next up is the Sport Tech and Powershift versions which provide new alloy pedals, auto-dimmin mirror and few other tweaks. Last but not least, the range-topping Sport Tech Nav grade comes with Bluetooth connectivity, a 5.8-inch touch screen monitor, TomTom satellite navigation and Live Services. Mazda also offers a more powerful 2.0-liter engine capable to deliver 158 horsepower. If the 1.8-liter unit is able to provide a 0-100 km/h sprint in 9,9 seconds, the more powerful alternative does it in 7,6 seconds. 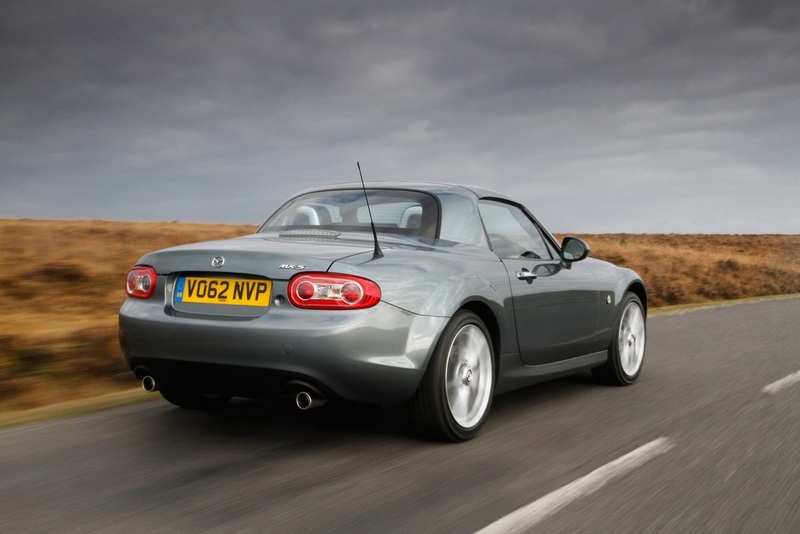 You can get a closer look at the pricing details but also at the UK-spec Mazda MX-5 in the photos above.